Internationally recognized for his moving performances, innovative programming and extensive catalogue of recordings, American conductor Gerard Schwarz serves as Music Director of the All-Star Orchestra, an ensemble of top musicians from America’s leading orchestras featured in sixteen television programs that have aired throughout the United States on public television, worldwide by internet streaming and is the basis for their Khan Academy education platform that has already reached over 6 million students. As in popular sports, Schwarz created an “all-star” team of top orchestra musicians to encourage a greater understanding and enjoyment of classical music. All programs are now released by Naxos and have been awarded six Emmy Awards and the Deems Taylor Television Broadcast Award from ASCAP. Schwarz is also Music Director of the Eastern Music Festival in North Carolina where he celebrated his 10th Anniversary season in the summer of 2017, Music Director of the Mozart Orchestra of New York, Conductor Emeritus of the Mostly Mozart Festival and Conductor Laureate of the Seattle Symphony. From the fall of 2019 he will assume the position as Distinguished Professor of Music; Conducting and Orchestral Studies of the Frost School of Music at the University of Miami. Schwarz is a renowned interpreter of 19th century German, Austrian and Russian repertoire, in addition to his noted work with contemporary American composers. With more than 300 world premieres to his credit, Schwarz has always felt strongly about commissioning and performing new music. As Music Director of the Eastern Music Festival he initiated the Bonnie McElveen-Hunter Commissioning Project that has thus far commissioned works by John Corigliano, Richard Danielpour, Andre Previn, HyeKyung Lee, Augusta Reed Thomas, and Lowell Lieberman. In all, Ms. McElveen-Hunter has committed to ten new works from American composers. During Schwarz’s tenure with the festival, he has expanded audiences to the largest in its history, incorporated a composer in residence program, developed three new concert series and added new educational initiatives. The Festival Orchestra has also recorded a critically praised recording of the music of Alan Hovhaness for Naxos. The festival is one of the USA’s foremost training programs for young musicians, bringing together world-renowned artists and exceptionally gifted young musicians from across the United States and beyond. A prolific recording artist, Schwarz’s total discography numbers over 350 on labels such as Naxos, Delos, EMI, Koch, New World, Nonesuch, Reference Recording, RLPO Live, Columbia/Sony and RCA. In November, 2017, a 30 CD boxed set of previously unreleased and limited release works spanning his entire recording career was released by Naxos. 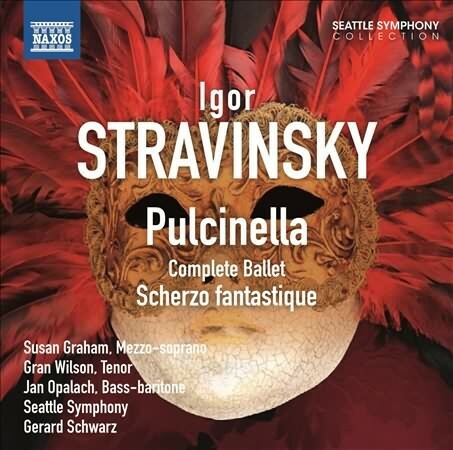 More than 50 discs featuring Gerard Schwarz and the Seattle Symphony – with works by 54 composers ranging from the Baroque to contemporary periods – were released in the last two years on Naxos, Delos, Artek and Brilliance Audio. Representing the breadth and depth of the conductor’s vast repertoire, the recordings vary in genre, including major 20th century ballets by composers Stravinsky, Strauss, Bartók, Ravel and Prokofiev, as well as multi-disc cycles of works by Schumann, Strauss, Wagner and Stravinsky. Schwarz’s dedication to the promotion of American music is also represented with his pioneering cycles of 26 American symphonists such as William Schuman, David Diamond, Walter Piston, Paul Creston, Peter Mennin, Alan Hovhaness and Howard Hanson. The Howard Hanson cycle, first released on Delos, was a mainstay on Billboard’s classical music best-selling list for 41 weeks; earned GRAMMY nominations and was named 1989 Record of the Year by Stereo Review. The new Russian series on Naxos has been acclaimed as “a high point in the extensive Schwarz/Seattle discography” (Classics Today), “very fine” (The Guardian) and “a powerhouse in Russian Romantic repertoire” (Music Web International). In addition to his numerous recordings with the Seattle Symphony, he has also recorded with the Berlin Radio Symphony, Czech Philharmonic, English Chamber Orchestra, Juilliard Orchestra, London Symphony, Los Angeles Chamber Symphony, New York Chamber Symphony, Orchestre National de France, Philadelphia Orchestra, Royal Liverpool Philharmonic, Tokyo Philharmonic and Eastern Music Festival. His most recent release is of Rimsky-Korsakov’s 1st and 3rd Symphonies with the Berlin Radio Symphony Orchestra. A gifted composer and arranger, Schwarz has expanded his compositional activities in recent years. His Trio for Violin, Horn and Piano was called a work of “sophistication and intelligence” the Seattle Post Intelligencer. Earlier works include In Memoriam and Rudolf and Jeanette (dedicated to the memory of his grandparents who perished in the Holocaust) – both recorded by Naxos; Human Spirit, a composition for choir and orchestra and his duos for violin and cello were called “redolent of the gentle humanism central to much of the music Schwarz loves to conduct” by The Seattle Times. His arrangements of suites from Strauss’ Der Rosenkavalier, Debussy’s Pelléas et Mélisande and Humperdinck’s Hansel and Gretel as well as many orchestral works are programmed in concerts worldwide. A Journey, a large scale orchestral tone poem received its world premiere at the Eastern Music Festival in July 2012. 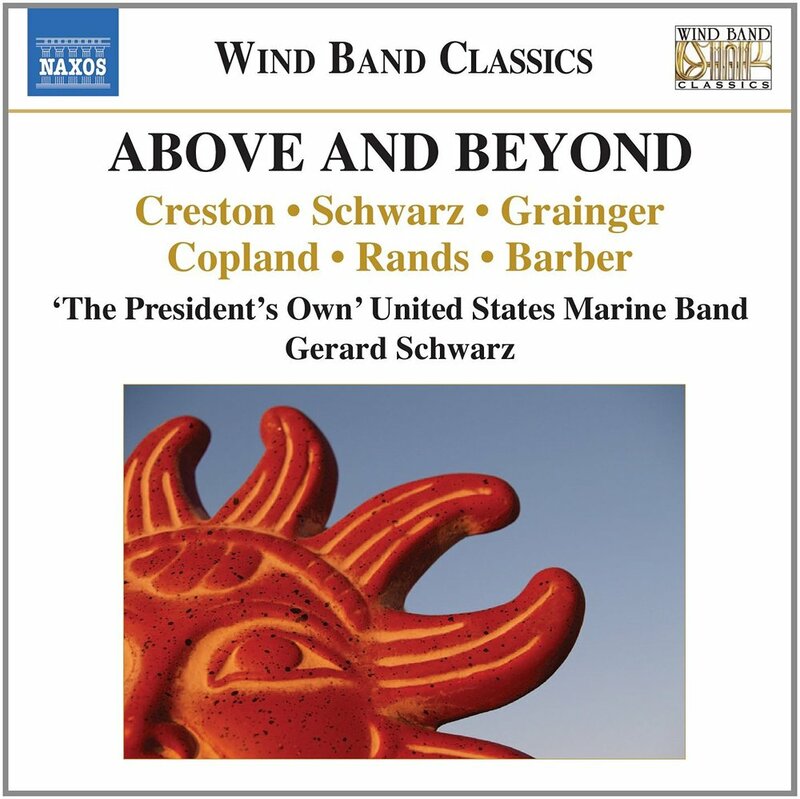 Schwarz’s work for concert band Above and Beyond was premiered by The United States Marine Band in 2013 and is now available on Naxos and recently recorded by the Marine Band for broadcast on PBS in November 2018. His newest work for that ensemble, a new version of Rudolf and Jeannette was premiered in February 2016. His orchestral work “A Poem” was given its first performance by the Hartford Symphony. A sought-after guest conductor, Schwarz has led the most renowned orchestras throughout the world. He is also known for his operatic performances in addition to his concert work, having appeared with the Juilliard Opera, Kirov Opera, Mostly Mozart Festival, San Francisco Opera, Seattle Opera – where he has led 21 productions – and Washington National Opera conducting the operas of Wagner, Janáček, Strauss, Mozart, Bizet, Weber, Debussy, Bartók, Stravinsky, Beethoven and Gluck. Born in America to Viennese parents, Schwarz began studying piano at the age of five and soon focused on the trumpet. A graduate of both New York City's High School of Performing Arts and The Juilliard School, he joined the New York Philharmonic in 1972 as co-principal trumpet, a position he held until 1977. Schwarz’s numerous previous positions include Music Director of New York’s Mostly Mozart Festival (1982-2001), where he presided over sold-out houses, developed the orchestra’s international touring, maintained a nine-year residency in Tokyo, considerably expanded its Mozart repertoire and lead numerous televised Live from Lincoln Center appearances. His tenure as Music Director of the Royal Liverpool Philharmonic (2001-2006) initiated the long-standing partnership between the orchestra and Classic FM, expanded recordings on the RLPO Live label, initiated a new partnership with Avie records, created the enormously popular Sunday matinee Musically Speaking concert series, led highly acclaimed tours to Spain and Prague and brought the orchestra to National Television in BBC Proms broadcasts. As Music Director of the Los Angeles Chamber Orchestra (1978-1985) and New York Chamber Symphony (1977-2001) he expanded concert series and audiences, made award-winning recordings and championed new works. In addition, he served as Artistic Advisor to the Tokyo Philharmonic. Gerard Schwarz completed his final season as music director of the Seattle Symphony in 2011 after an acclaimed 26 years. During his leadership, Schwarz was instrumental in the building of Benaroya Hall, spearheading efforts that resulted in the acoustically superb new home for the Seattle Symphony. The many legacies of his extraordinary leadership include a critically acclaimed discography of more than 140 recordings; numerous television programs and concert broadcasts resulting in two Emmy Awards; major strides in music education programs including new series and the successful Soundbridge Seattle Symphony Music Discovery Center; regular programming of innovative themed festival weeks; in addition to dramatically increased audience attendance and classical subscription weeks. Schwarz’s final season in Seattle was emblematic of the conductor’s passionate dedication and support for contemporary music, with a total of 22 world premieres, 18 of these premieres being a part of the Gund/Simonyi Farewell Commissions, an unprecedented commissioning initiative celebrating his farewell season as music director. In his nearly five decades as a respected classical musician and conductor, Schwarz has received hundreds of honors and accolades. Over the years, he has received six Emmy Awards, 14 GRAMMY nominations, eight ASCAP Awards and numerous Stereo Review and Ovation Awards. He holds the Ditson Conductor’s Award from Columbia University, was the first American named Conductor of the Year by Musical America and has received numerous honorary doctorates, including from his alma mater, The Juilliard School. In 2002, the American Society of Composers, Authors and Publishers honored Schwarz with its Concert Music Award and in 2003 the National Academy of Recording Arts & Sciences gave Schwarz its first “IMPACT” lifetime achievement award. Active in music advocacy on a national and state level, he served on the National Council of the Arts and is Honorary Chairman of the Board of Young Musicians Excelling, an organization in Washington State which supports music education in the Pacific Northwest. The City of Seattle recognized his outstanding achievements by naming the street alongside the Benaroya Hall “Gerard Schwarz Place” and the State of Washington gave him the honorary title of “General” for his extraordinary contributions as an artist and citizen. Gerard Schwarz’s much anticipated memoir, Gerard Schwarz: Behind the Baton, was published by Hal Leonard Performing Arts Publishing Group in March 2017. He has been married to Jody for 33 years, has four children and lives in New York City.